Browse content similar to Series 10. Check below for episodes and series from the same categories and more! Charlie Ross and Natasha Raskin take in all the glories of the coastal south west. Charlie Ross and Natasha Raskin make for an auction in the Hampshire village of Swanmore. Charlie and Natasha are in Berkhamsted, before heading for an auction in Christchurch. Charlie and Natasha start in Farnham in Surrey and end up at auction in Towcester. Charlie and Natasha set off from Ashby-de-la-Zouch to auction in Stansted Mountfitchet. Charles Hanson takes on Mark Stacey in a quest for antique glory. Charles Hanson and Mark Stacey travel from Ely to the auction in Bourne End. Charles Hanson and Mark Stacey travel from Leominster to Itchen Stoke near Winchester. Charles Hanson and Mark Stacey weave their way through Gloucestershire. The last leg of Charles Hanson and Mark Stacey's road trip starts in Shropshire. Paul Laidlaw and Anita Manning hit the road in the hunt for antiques. 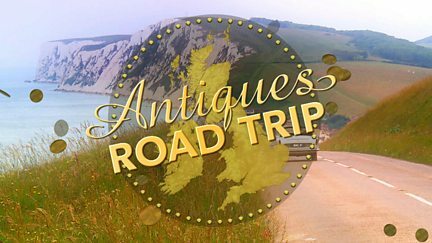 Paul Laidlaw and Anita Manning continue their antique adventure. Paul Laidlaw and Anita Manning head for an auction in Twickenham, London. 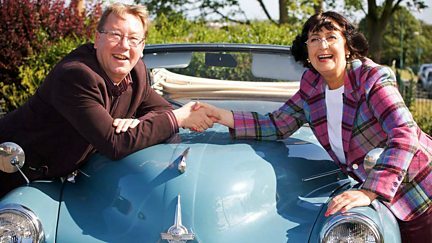 Paul Laidlaw and Anita Manning make their way towards the penultimate auction in Norfolk. Paul Laidlaw and Anita Manning head for a nail-biting final auction in Stamford.